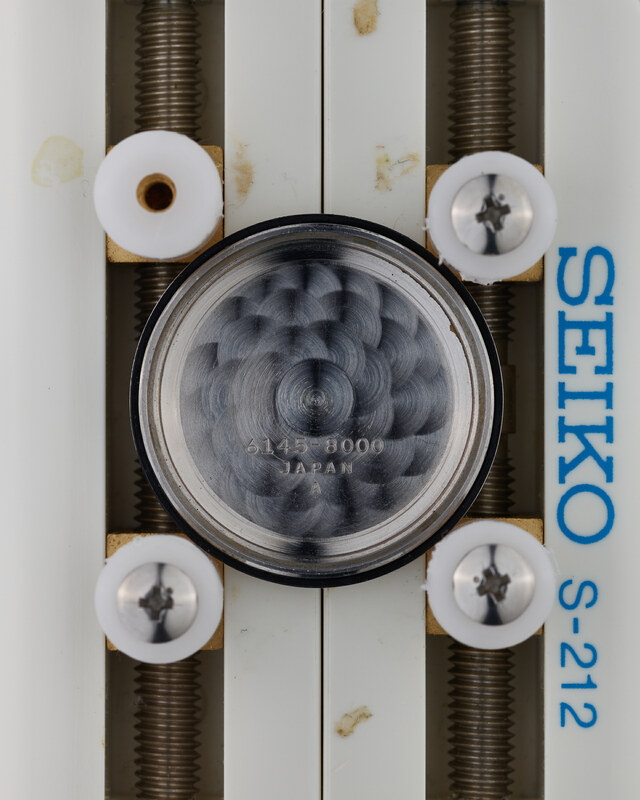 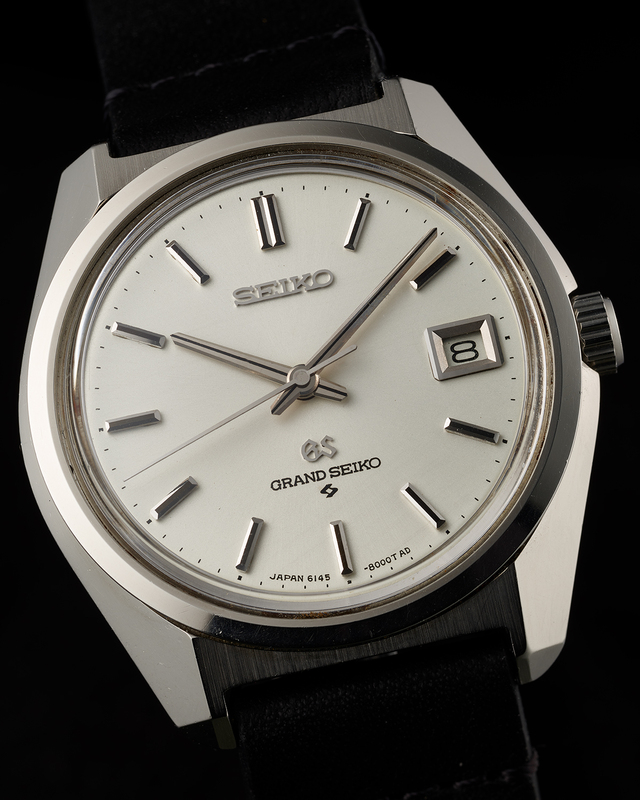 The very earliest examples of the 6145/6-8000 have a different dial to those that followed, with “Grand Seiko” on the dial under the GS logo, rather than “Hi-Beat 36000”. 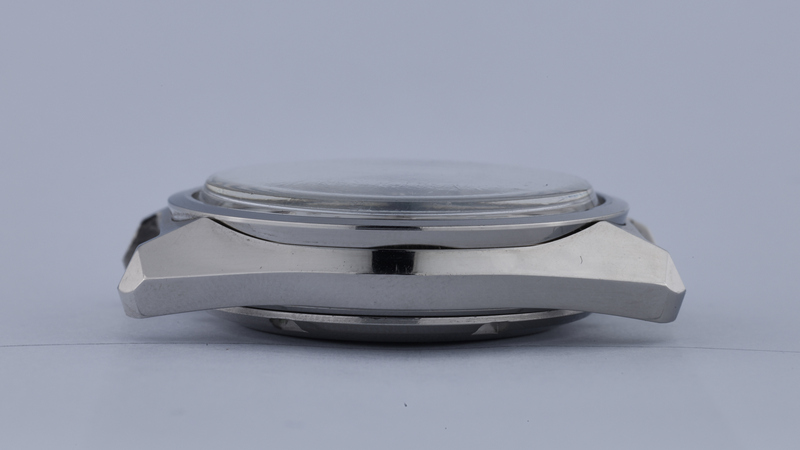 Given the much shorter production run of these early pieces, they are very collectible. 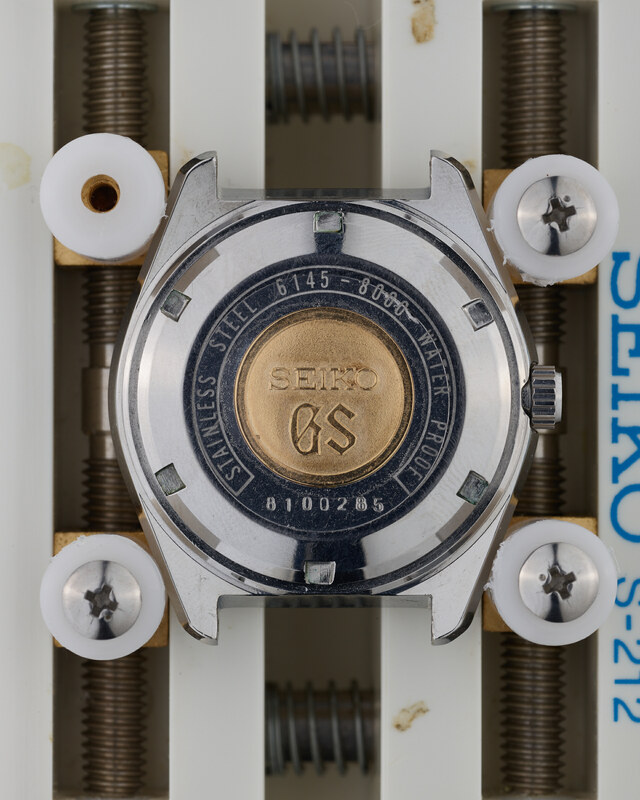 Another interesting feature on this variant is that the GS logo and the words “Grand Seiko” appear on the winding rotor. 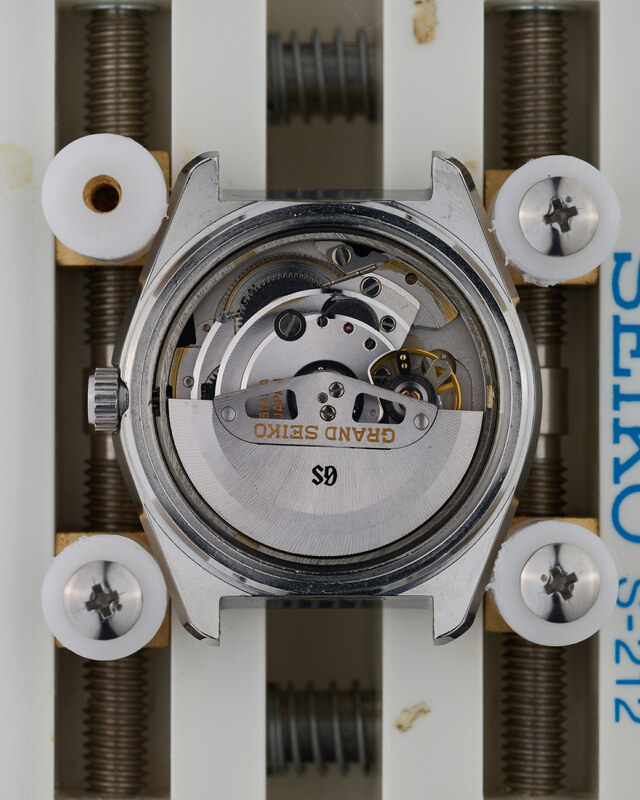 This is unique to the “Grand Seiko” dialed 6145/6-8000’s, and something that should always be checked when looking to acquire one of these pieces. 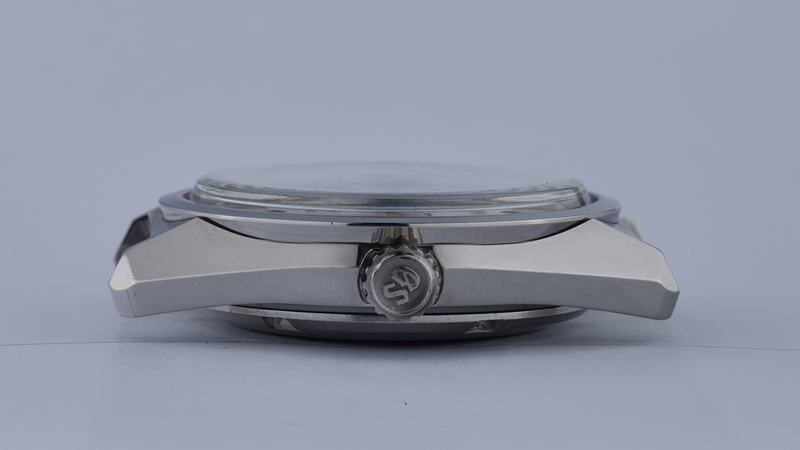 The particular example on offer here is in tremendous condition. 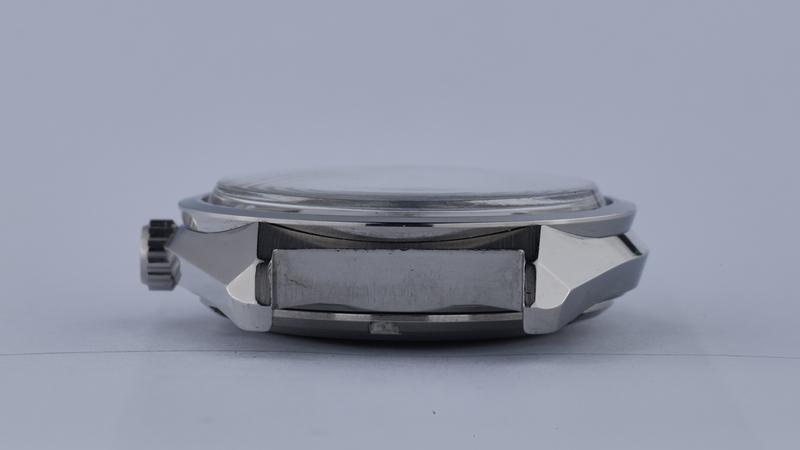 The dial is in excellent condition, with really just a single blemish discernible to the naked eye, just to the right of the center of the dial (you can see it on the image provided between the end of the second hand and the minute hand). 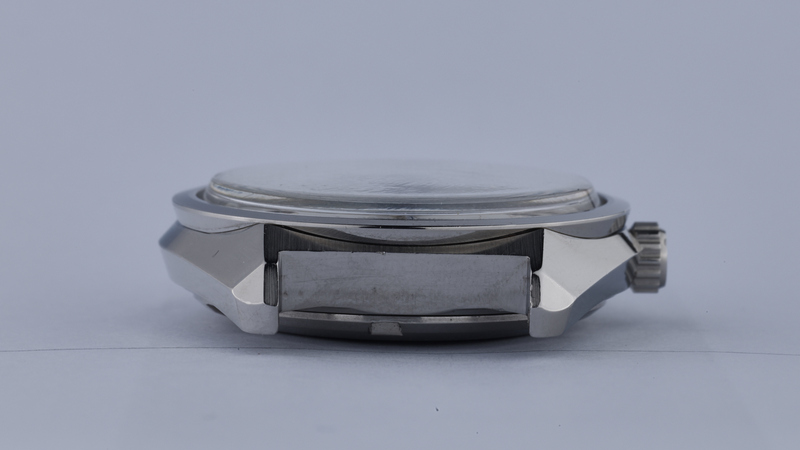 The case is almost flawless, with very minor dings and a few hairline scratches (you really do have to look very hard to see them), with a great case back and perfectly preserved medallion under a thin plastic protector. 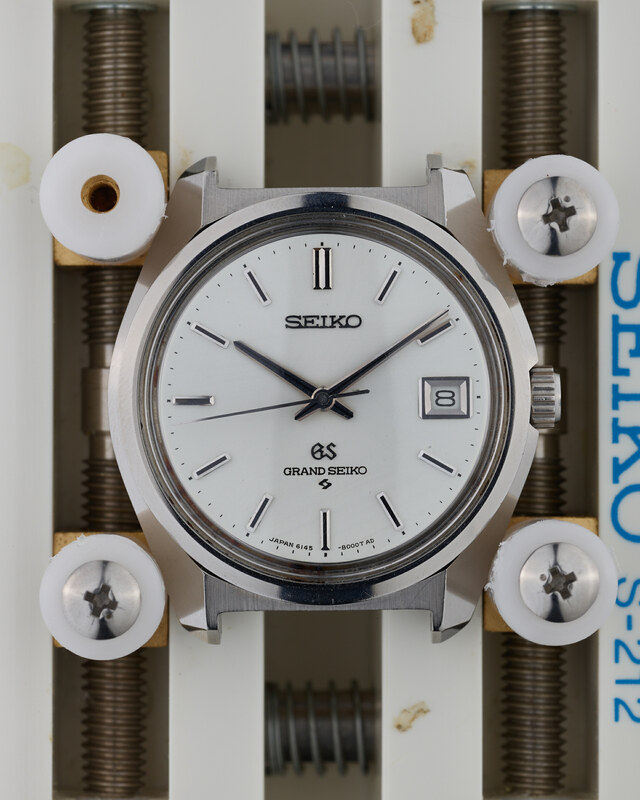 It’s rare to have the chance to acquire one of these early dialed 6145-8000’s in such great condition, and as the last Grand Seiko (excepting the VFA’s) to actually say “Grand Seiko” on the dial, it would make for an excellent addition to any collection.